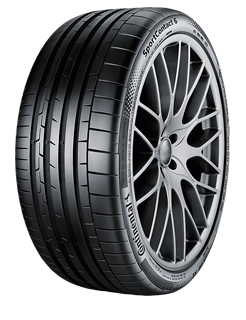 The first ‘ultra ultra high performance tyre’ from Continental, the SportContact 6 is a superior summer tyre ideal for high performance cars. This tyre provides shorter braking distances in all weather conditions thanks to the use of a new Micro Flexibility Compound that ensures optimum interlocking between the tyre and the surface of the road. Designed with an innovative macro block tread pattern which provides lateral support, the SportContact 6 offers maximum control. Furthermore, Avalon 350 technology enables controlled tyre growth at maximum speeds, meaning that the SportContact can rapidly and safely reach high speeds.